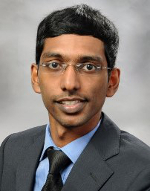 Venkata Sandeep Akshintala, MD from Johns Hopkins Medical Institutions discusses his Original Article “A comparative evaluation of outcomes of endoscopic versus percutaneous drainage for symptomatic pancreatic pseudocysts” from the June issue. 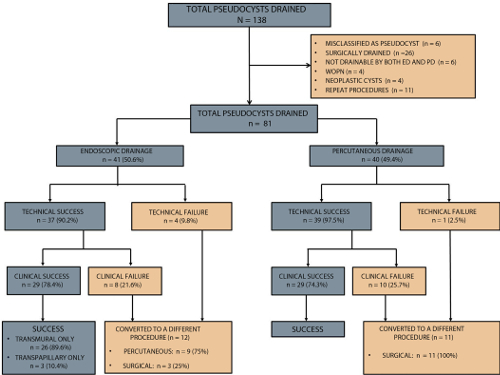 The focus of this study is to compare the outcomes of Endoscopic Drainage (ED) and Percutaneous Drainage (PD) for symptomatic pseudocysts. Symptomatic pseudocysts can be drained by using surgical, endoscopic, or percutaneous approaches. Surgical drainage was the standard of care but because of its invasive nature, associated longer length of hospital stay, and increased cost, this approach largely has been replaced by minimally invasive, nonsurgical approaches including endoscopic drainage (ED) and percutaneous drainage (PD). There has never been a study which adequately compared the non-surgical approaches, hence this study was necessary. Endoscopic drainage (ED) and percutaneous drainage (PD) have similar clinical success rates for symptomatic pseudocysts. However, PD is associated with significantly higher rates of reintervention, longer length of hospital stay, and increased number of follow-up abdominal imaging studies. ED should be the preferred modaloity for the drainage of symptomatic pseudocystys lying within 1 cm of the gastric or duodenal wall. Read the article abstract online here. Figure 1.Flow chart demonstrating the selection of patients in the study and procedural outcomes.ED,endoscopic drainage,PD,percutaneousdrainage,WOPN,walled-off pancreatic necrosis.